The Citizens’ Constitutional Forum conducted their DUA follow up workshop at the Vaileka Conference room in Rakiraki on 7th June, 2017 with some community groups from around the area. Here are story’s of change from some participants who have had an impact from the project. 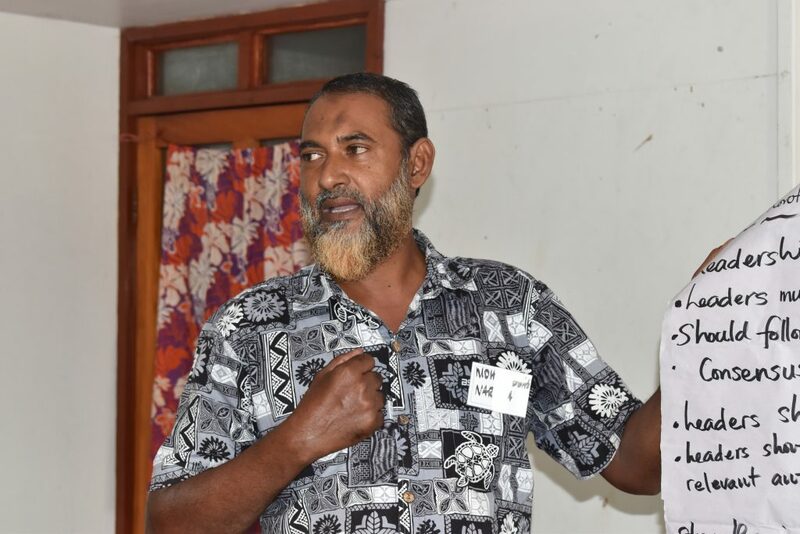 48 years old Mohammed Abbas was one of the participants that benefitted from the Citizens’ Constitutional Forum workshop that was conducted by the Education team in Rakiraki on March. Mr. Abbas who was currently seeking for water assistance for his community had managed to put together a project proposal with the assistance of the information gathered from the workshop. “I am very grateful that I had attended the first workshop where I learned to put together a project proposal and was kindly advised by the CCF Education team on the steps I needed to take for my project to work. I took my project proposal and seek the assistance of Live and Learn where I was successful to get it approved,” he said. With Mr. Abbas’s hard work and the kind assistance he was offered, nine households now have access to clean and safe drinking water. “Instead of going down the river to fetch water or always boiling it the residents can now have access to it from their own homes,” said Mr. Abbas. He also mentioned the need of more of these workshops. “We need more of this workshop not only me but for people in my community, if it is possible that CCF conduct this type of workshop into our community because sometimes we don’t really remember what we all learnt and so our members in the community sometimes miss out on some important information that can help them,” Mr. Abbas said. Mr Abbas was one the 18 participants that was present during the follow up workshop that was held in Rakiraki. The project is supported by the European Union (EU) and Conciliation Resources (CR). Former school teacher Ms. Nila Rao continues to advocate for good governance, human rights and rights based approach to development. Ms. Rao is very grateful to the Citizens’ Constitutional Forum organisation for hosting a workshop that has enabled her to broaden her knowledge. “After the first workshop I have managed to better understand our basic human rights, how to run a successful community group and ways to seek assistance from various stakeholders. As a community leader this are some important things I feel we should learn to progress as a group and create developments where we will all benefit from,” said Ms. Rao. She mentioned that the workshop had also brought confidence to their women group. “I have had positive feedbacks from our members saying how they have enjoyed the workshop and how it has empowered them to establish a women’s club that will assist them financially, this is a good sign for us and we hope to continue this,” Ms. Rao said. Ms. Rao also hoped for more of this workshop to take place in her community as she believes that it will greatly assist them. 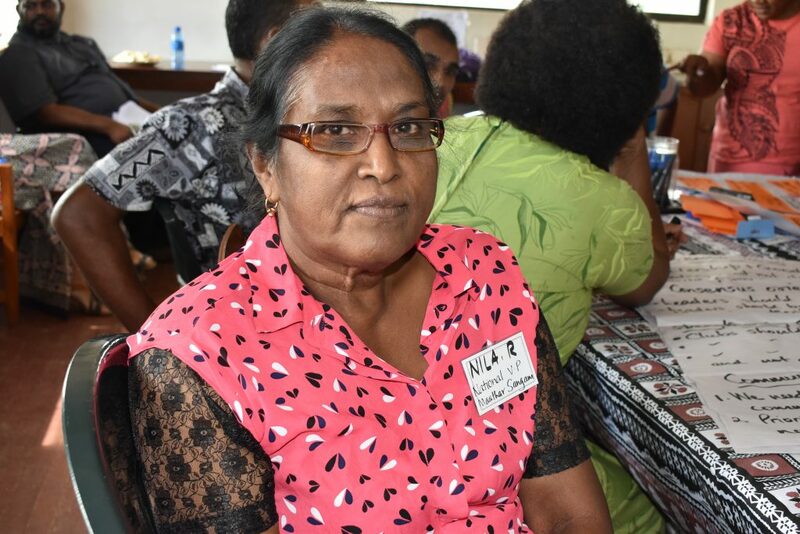 Ms. Rao was also part of the 18 participants that was present during the follow up workshop that was held in Rakiraki. The project is supported by the European Union (EU) and Conciliation Resources (CR).